New caravans will come equipped from the manufacturer with a replica rolex 240v hook up lead, the water pump/filter hose and a step. The water containers, gas bottles and on board battery will not be supplied by the dealer. This can also be the case for pre owned caravans as the previous owner will keep their accessories for use on a new caravan. If the previous owner is giving up caravanning, then a full package can be purchased which would include all the water containers etc. The water container is responsible for storing the water which is used for every day use of the water system, such as, water to the taps and to the washroom. Containers come in fake rolex watches different shapes and sizes, a roll along model is favoured because the water will not have to be carried. The container sits outside the caravan next to the water pump inlet. (See inlet types) The water pump is then plugged into the side of the caravan, the pump is then placed into the water container. See water system for further operation. With the swiss rolex waste container placed by the waste outlets, a convoluted waste pipe is then plugged into the waste outlet. A waste water container will store all the waste water from the kitchen sink and washroom. The waste water tank is not used for toilet waste. There are normally two waste outlets, one for the kitchen and one for the washroom. A "Y" connector can be used to get two pipes into one, then the single waste pipe fits into the container. The battery will power all the 12v items that the caravan uses, with the exception of the 12v operation of the fridge. It runs the 12v lights, water pump, toilet flush and space heater fan. 12v's are also needed to run the gas appliances such as the fridge and the water heater. All the systems in the caravan depend on each other, so it is essential that they all work correctly. An 85AH battery would be ok for normal use, if a motor mover is to be used, or the caravan will be used in situations without 240v power to charge the battery for more than four days then a 110Ah battery is recommended, as it will last longer. The battery will be located in the battery box, either on the offside or the near side of the caravan. The gas bottle will be situated it the front locker compartment of the caravan. I always recommend a 6KG propane gas bottle as the fittings are more robust and Propane will not freeze in UK conditions. 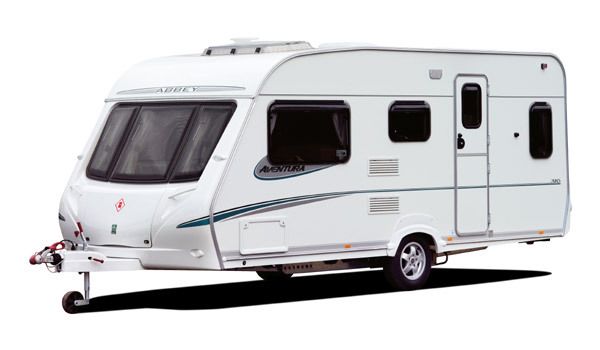 The regulator is fitted on new caravans at the factory, but the connecting hose is not. Some dealers will fit this as standard, check to see if this is the case. Propane gas bottles have a left-hand thread, hours can be spent trying to attach the hose the wrong way! With all the above items, a caravan will function correctly.